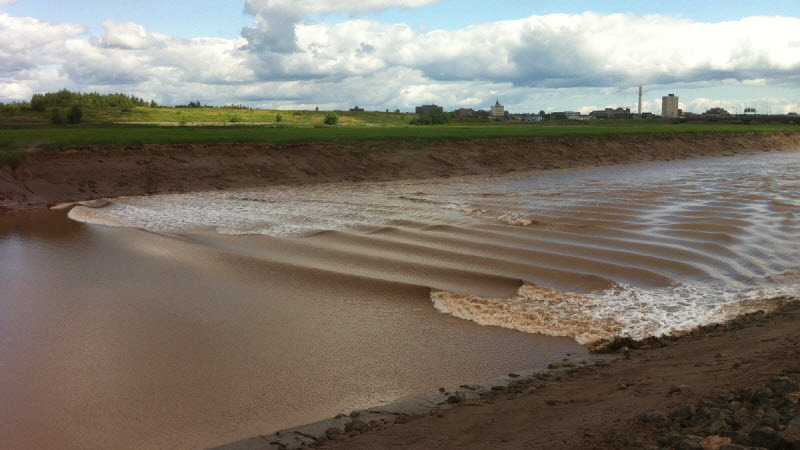 In certain conditions the waves of the tidal bore as it pushes up the river are very defined. This picture was one of those perfect days when the wind was calm and the light was right and the tidal surge was just the right amount of motion to create this nice shot of the bore. 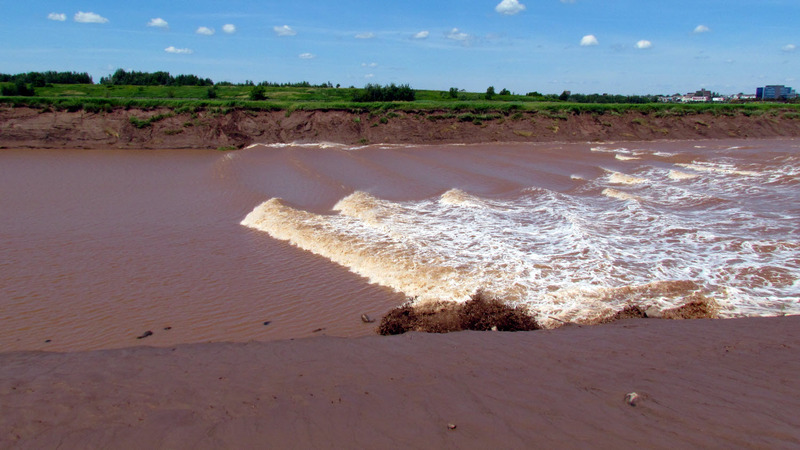 A surfer rides the tidal bore on a warm summer day. 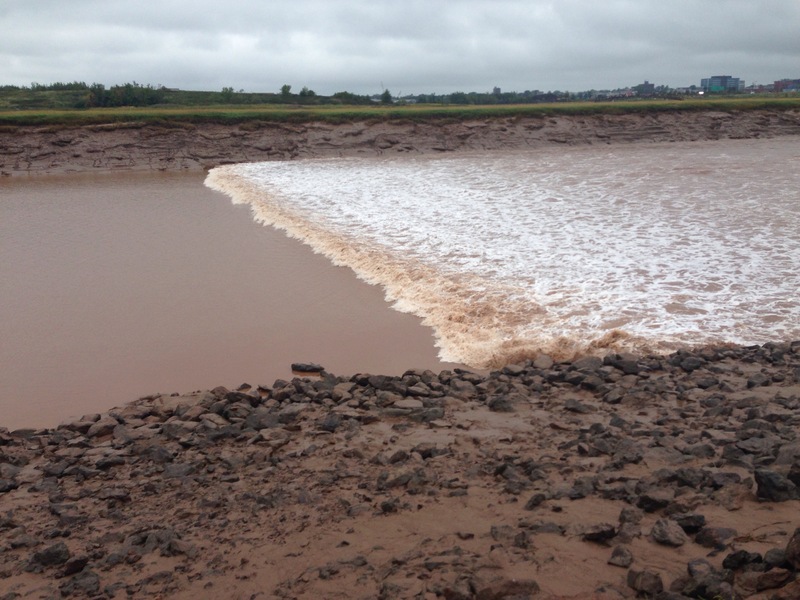 When all the forces of nature are in a perfect alignment the tidal bore can be surfed and lately more and more surfers are taking the long slow ride up the river to surf on the bore. This picture was taken along the Riverside Park trail in Riverview just across the bridge from Moncton. When surfers sail past there is often a cheer from the crowds that sometimes gather along the banks of the river. The surfers know what they are doing and have a partner with them who follows along on the shore by bike or in a vehicle as the surfer never knows how far their ride will last! 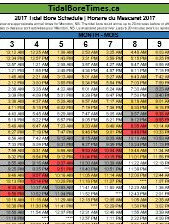 I took this compilation video from afew different angles of the tidal bore as it comes in through Moncton & Riverview in New Brunswick. Warm days to end the summer. Went for a walk in Ricerview to see the new stone sculptures that were just installed and were treated to an awesome bore! 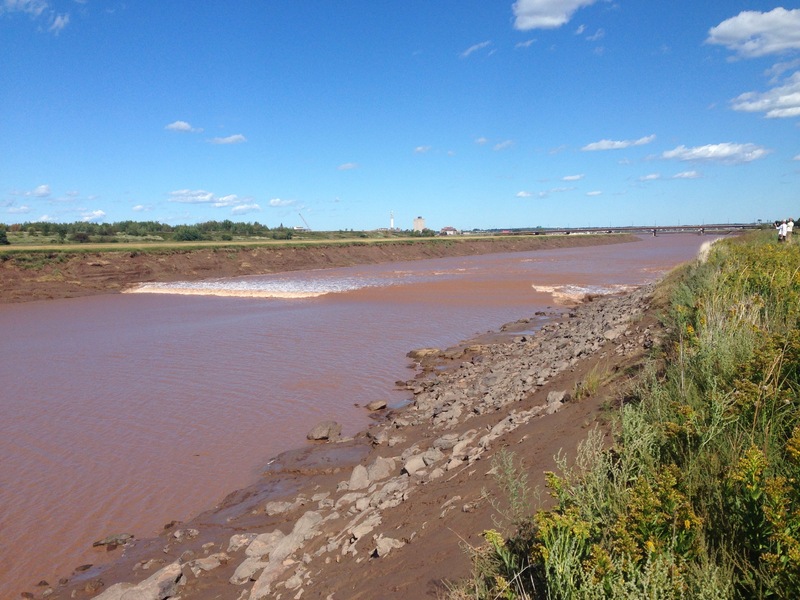 The Tidal Bore has just gone past and the Peticodiac river has amazing undulations and large ripples as the wind blasts against the surging waves as the river rushes up in the Tidal Bore. The winter tides create amazing effects as ice on the banks forms into large sculptures that are shaped and created then destroyed by the tidal bore as it arrives and then again as the tide slowly recedes back downstream. 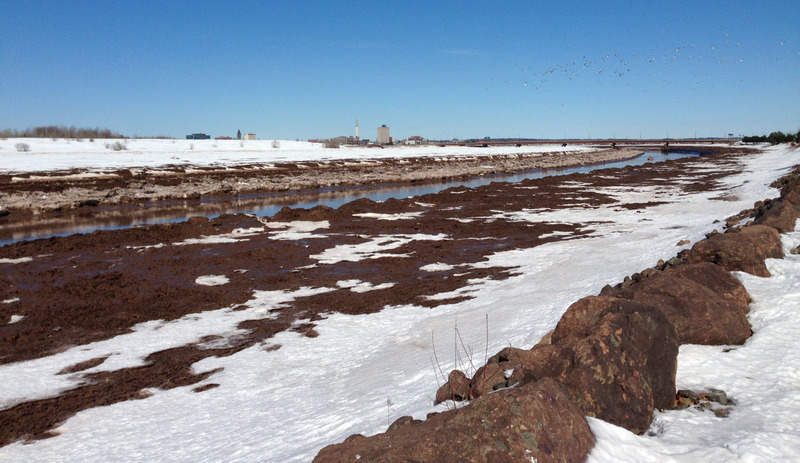 In January and during the Winter the banks of the Chocolate River enlarge as mud and ice freezes. 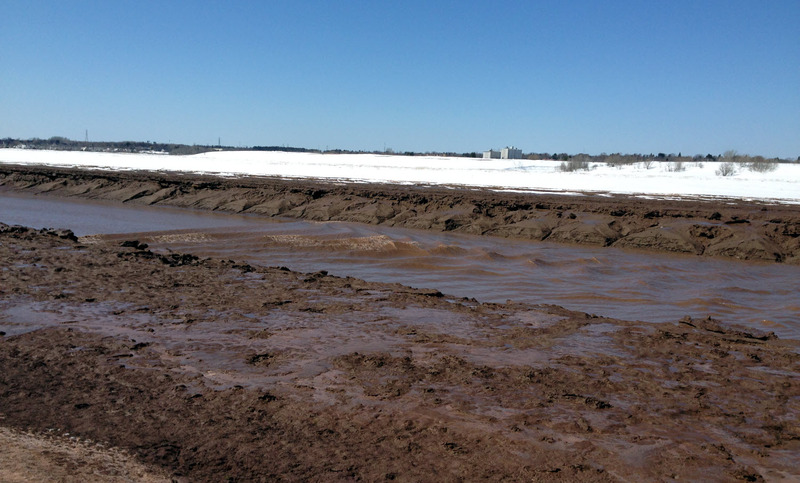 In this picture you can see the shelf of ice and mud that grows towards the center of the river. The slope of the banks normally starts at the large rocks in the forground but in winter you can see how the flat shelf forms. During these times there are great ice floes in the river and the when the tidal bore comes through it is always stunning! The winter cold causes the muddy banks of the Peticodiac to become quite a bit narrower as icy muddy banks grow out by several meters making the river much tighter and this often causes very nice tidal bores due to the reduced channel size so the water seems to move much faster .